Yesterday, an interview with Microsoft’s Craig Mundie, the firm’s Chief Research and Strategy Officer, hit the internet. During the interview, Mundie said that the company had had the capabilities of Siri in Windows Phone for more than a year. In the video, Mundie attributes the attention that Siri is getting to marketing and that Apple is “hammering” on the feature, because the iPhone 4S has little else to attract buyers. The feature of Windows Phone that Mundie is referring to is TellMe, a voice control service that gives users the ability to issue commands to their device, allowing it to play music, call contacts and search Bing, among other capabilities. The only problem is that TellMe is significantly more limited than Siri on several levels. Not only are there far fewer commands available, the accuracy of the voice transcription is extremely poor compared to Siri’s Nuance-powered detection. To be honest, although it has more features, TellMe is much more on par with Apple’s former Voice Control system when it comes to accuracy, which was also quite spotty and far more limited. I don’t know that I can blame Mundie for pumping his products, it’s pretty much his job to do so when it comes to talking with the press. That doesn’t mean that he’s right though. As this video from TechAU demonstrates, TellMe is nowhere near as capable as Siri. TellMe defaults to a Bing search on many commands, and misinterprets many voice inputs drastically. It’s clear that the current state of TellMe leaves much to be desired when being compared to Siri. But what’s the root of the issue here? Is it that Siri took Microsoft by surprise? That it has just realized that voice control is going to be huge and that it needs to deliver that feature to its mobile users? Not in the slightest. In fact, just this August, Microsoft’s Zig Zefran, General Manager of TellMe, released an article entitled “Four Reasons We’ll Love Talking to Our TVs”. In the article he discusses many of the ways that voice control will change how we interact with devices like TV’s and smartphones. In fact, Microsoft was so sure that a capable and flexible voice control system that learned from your habits was important, that it took the time to create this video. The vision of voice control laid out in this video, released well before Siri was made public, is comprehensive, fantastic and eerily similar to Apple’s offering. The fact of the matter is that Microsoft has no problems conceptualizing things like this robust and impressive vision of voice control, but it does have issues delivering. 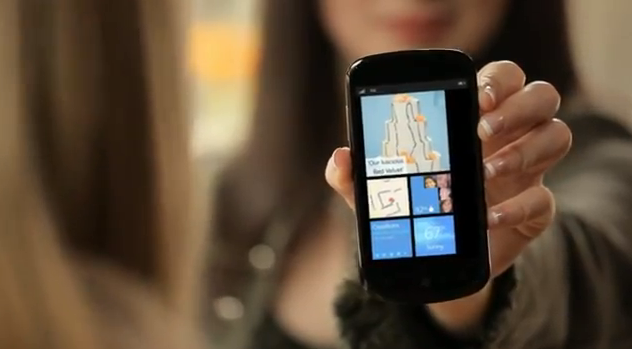 Concept videos like this seem to be the primary export of Microsoft’s technology divisions. While Apple spent its time finding, purchasing, improving on and integrating the technology of Siri, Microsoft was coming up with a very similar idea of how this thing should work. They were right. So right, in fact, that their competitor saw the exact same thing in the cards. The problem is that Apple delivered, and Microsoft did not. This video, which is very good and presents an extremely attractive version of voice control, didn’t just spring into being a few months ago. Microsoft has obviously been thinking very hard, for a lot longer than a couple of months, about the concept of voice control and how to execute it properly in a way that is truly helpful. But where is the product? Although it isn’t in the mobile space, you can argue that Microsoft has already demonstrated a great ability to use voice control with Kinect, and the new Xbox dashboard will leverage that even more. TellMe has been around for over a year at this point, and exists in a very similar form to the way it was introduced. Zefran says that TellMe is processing “more than 11 billion voice interactions a year” and learning from those, in order to improve. But it doesn’t seem that way. Honestly, the TellMe vs. Siri comparison isn’t fair. Siri is a far more capable product that is a generation beyond where Microsoft currently is with the shipped version of TellMe. Unfortunately, even their own head of Research and Strategy can’t seem to realize that. You can argue about the relative values and demerits of Apple’s policy of secrecy when it comes to new features, versus the transparent “look at this, isn’t it cool” Microsoft approach, but it doesn’t matter. Whether Apple’s sometimes frustrating hush-hush approach is better or not, it at least appears to give the company focus and enhance its ability to deliver things that do work now, rather than ones that will work sometime. Microsoft could have a better version of TellMe that is just about to ship, but I doubt it. Why would Mundie be touting TellMe as an answer to Siri right now if it wasn’t? Siri is better than TellMe, period. But it doesn’t have to be. Windows Phone is trailing the market behind Android and iPhone in a big way right now. This is the time where Microsoft needs to stop promising and start delivering.